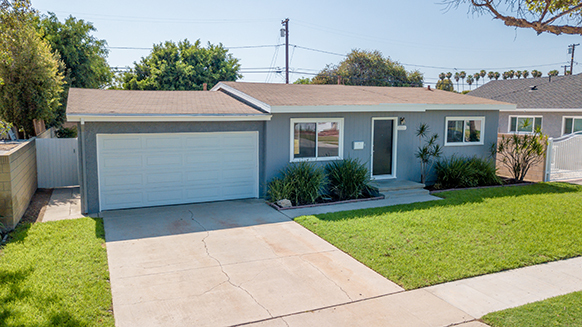 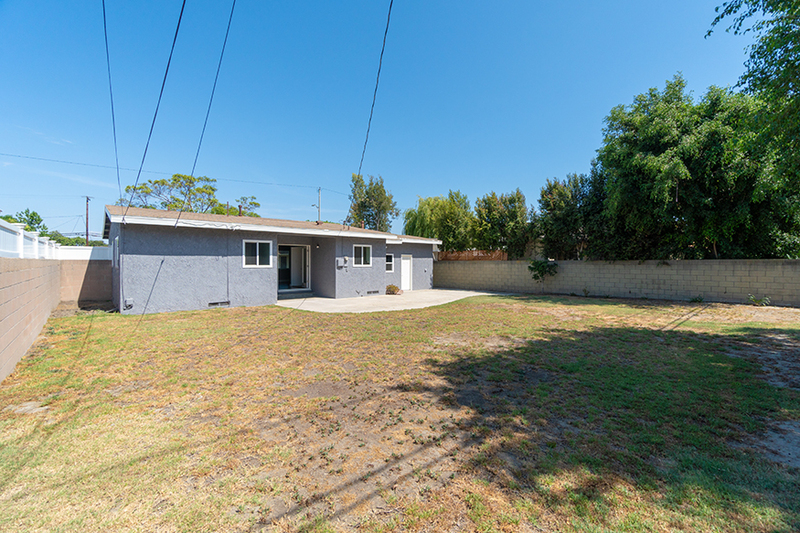 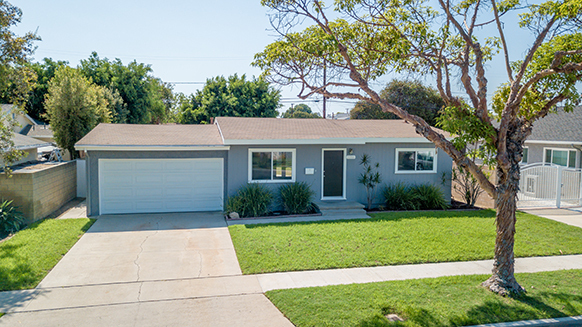 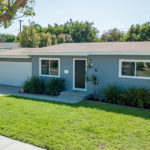 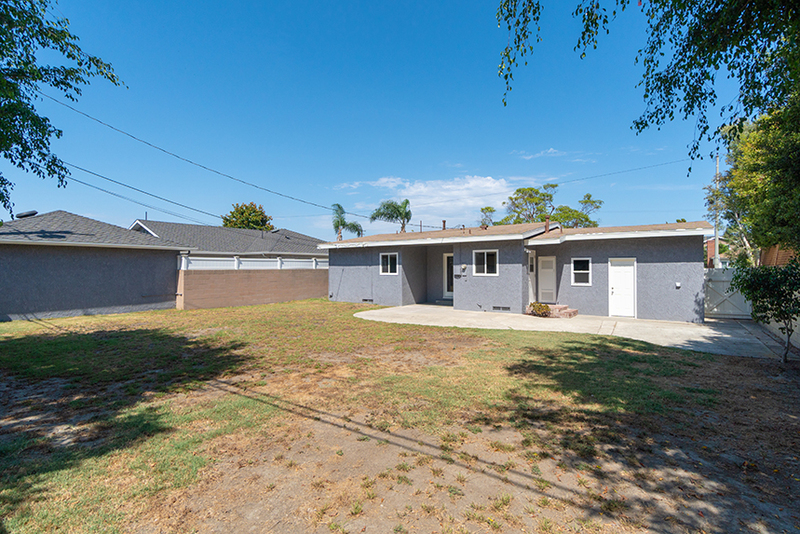 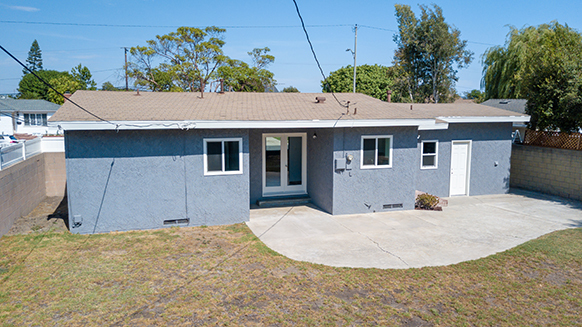 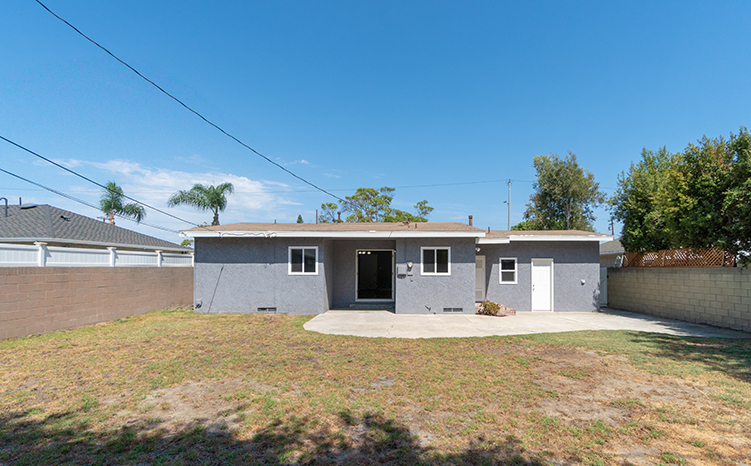 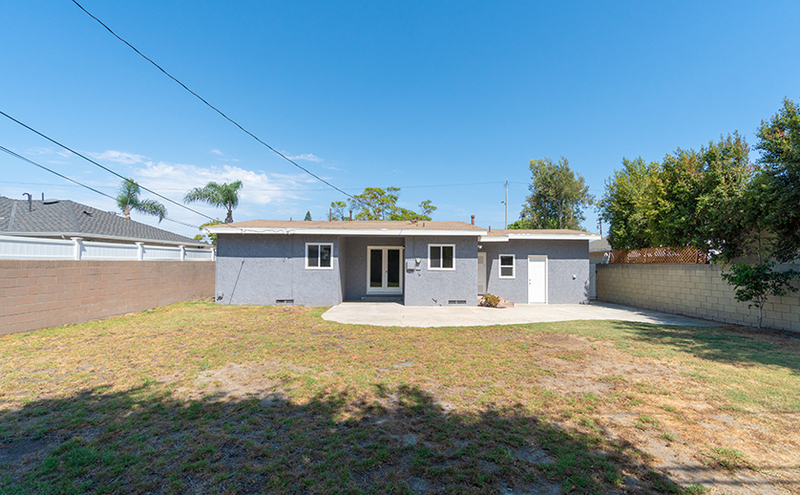 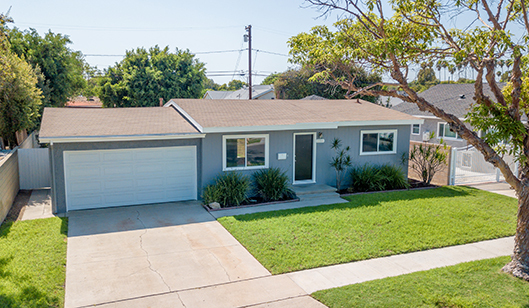 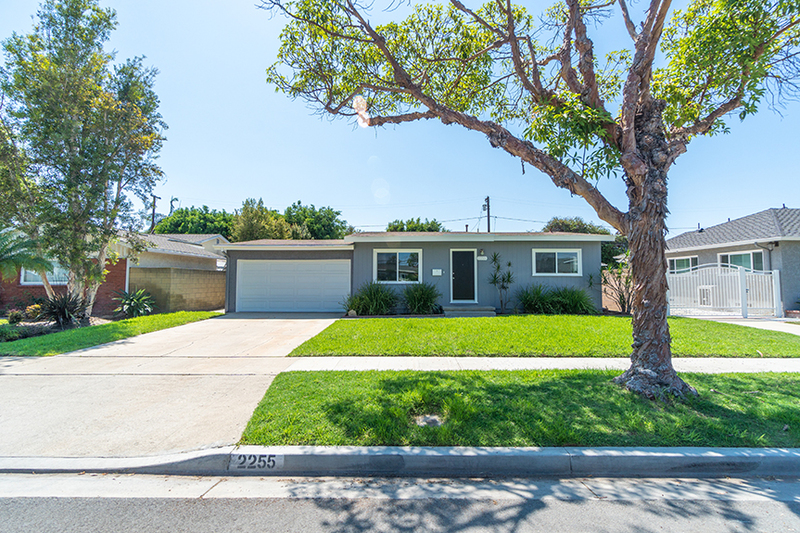 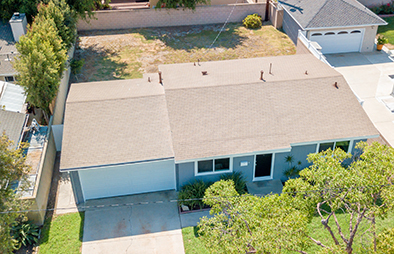 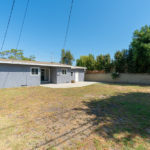 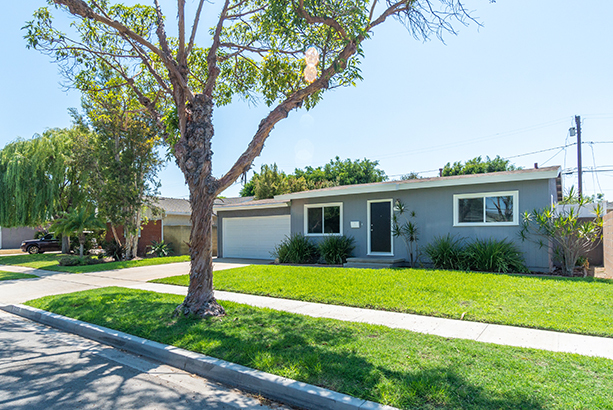 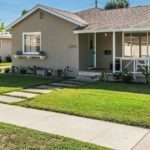 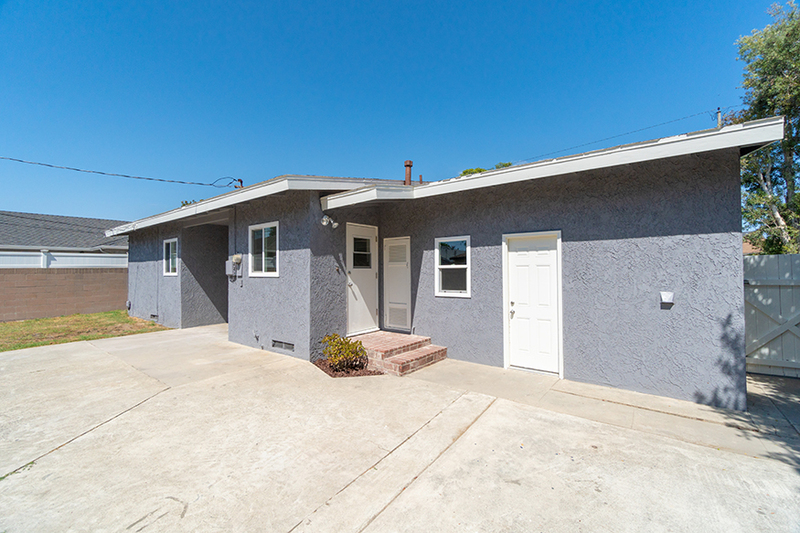 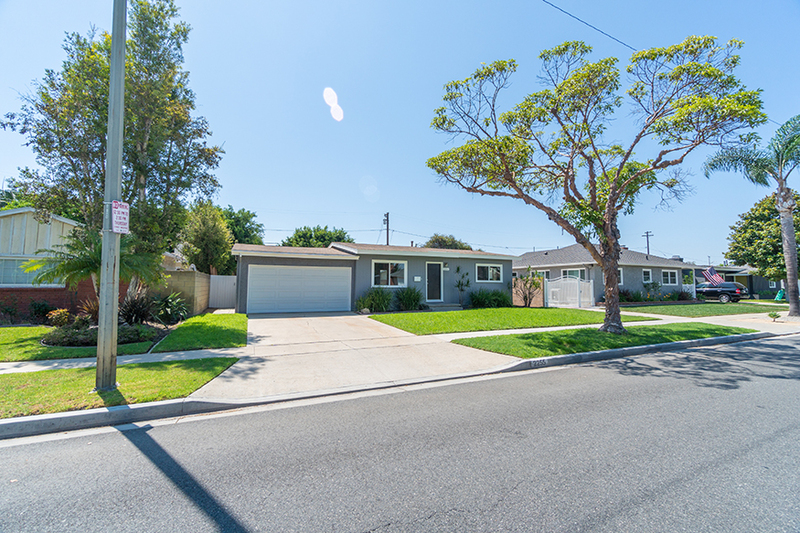 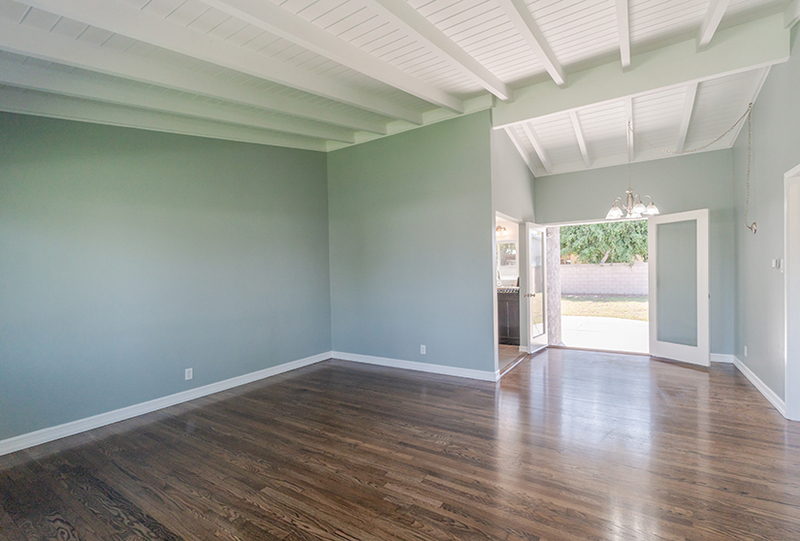 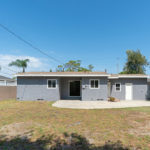 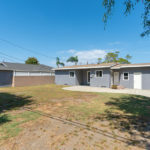 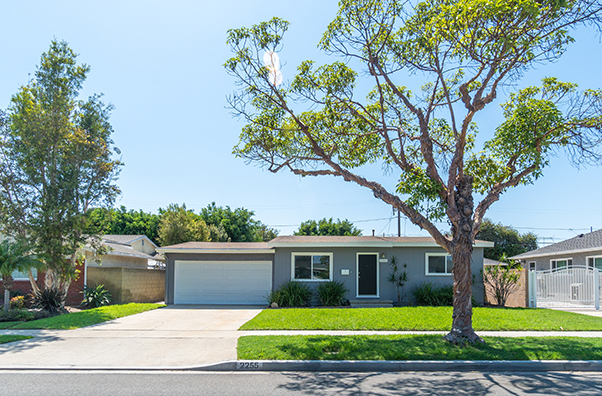 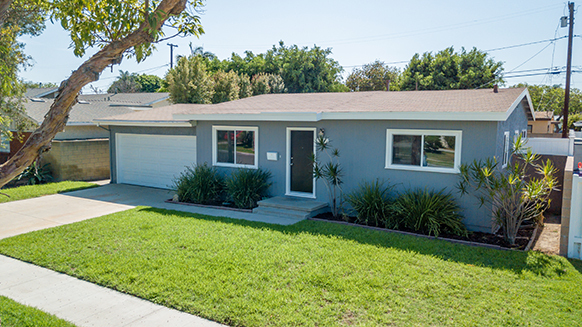 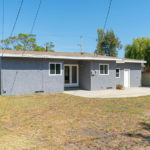 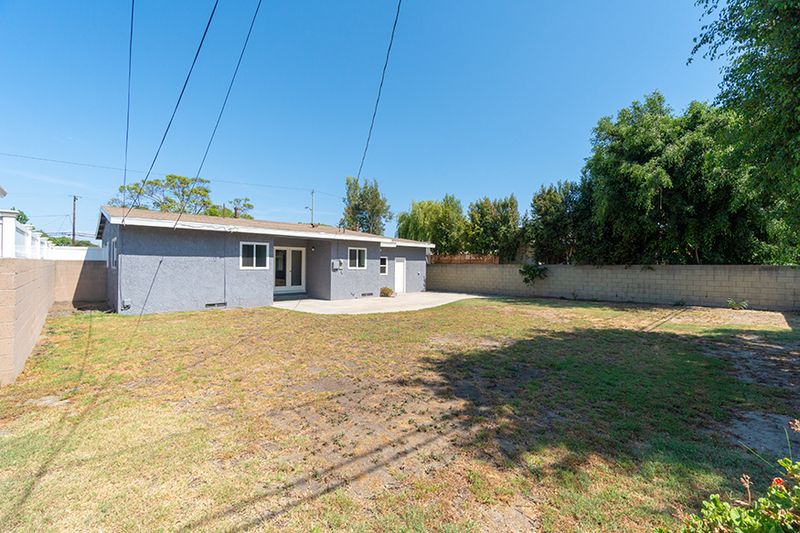 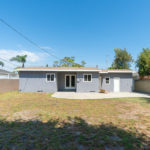 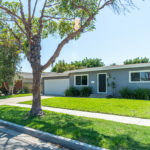 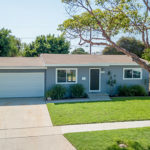 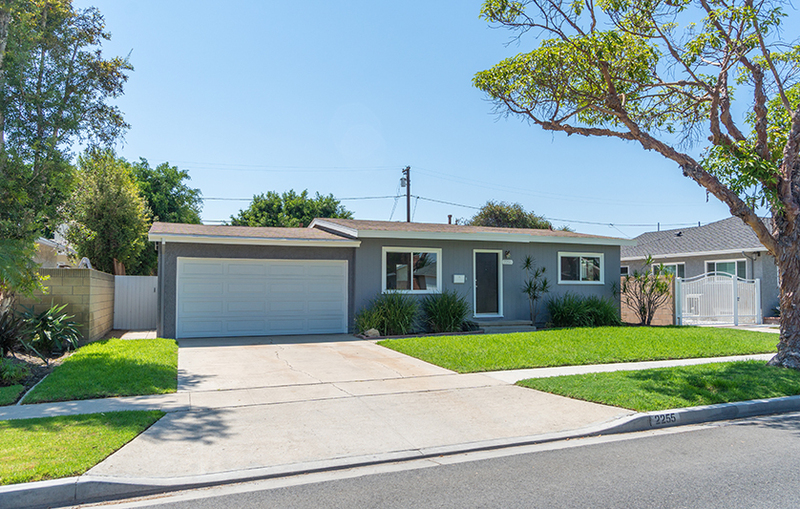 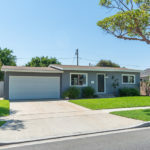 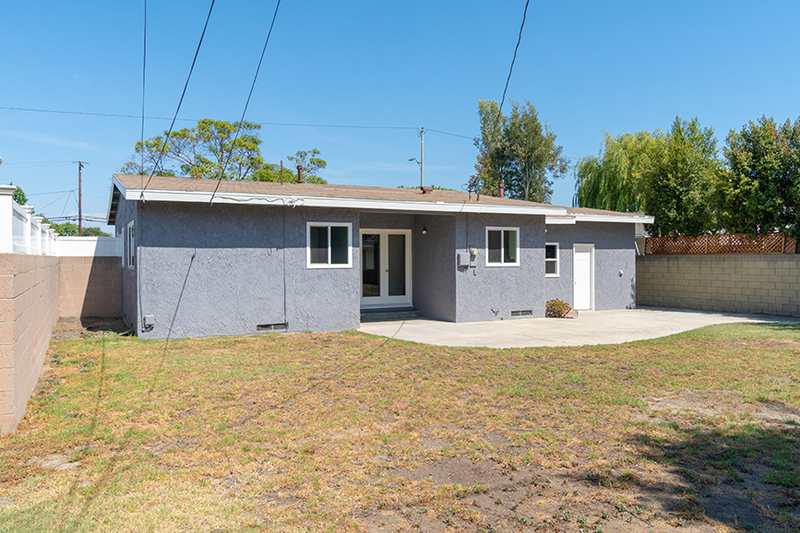 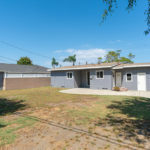 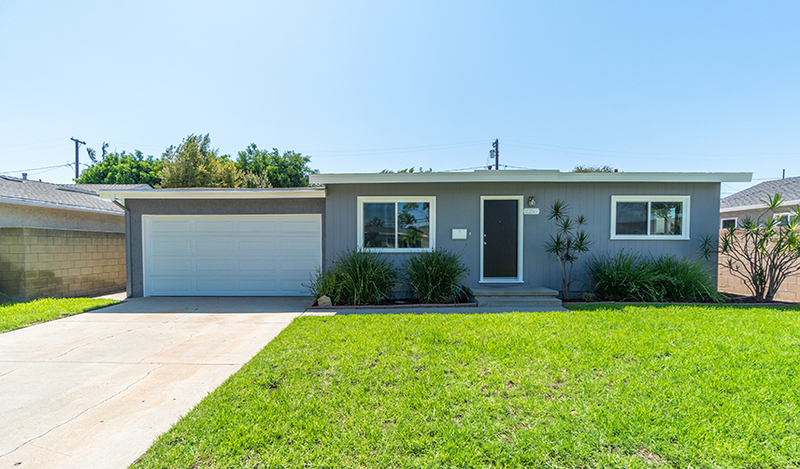 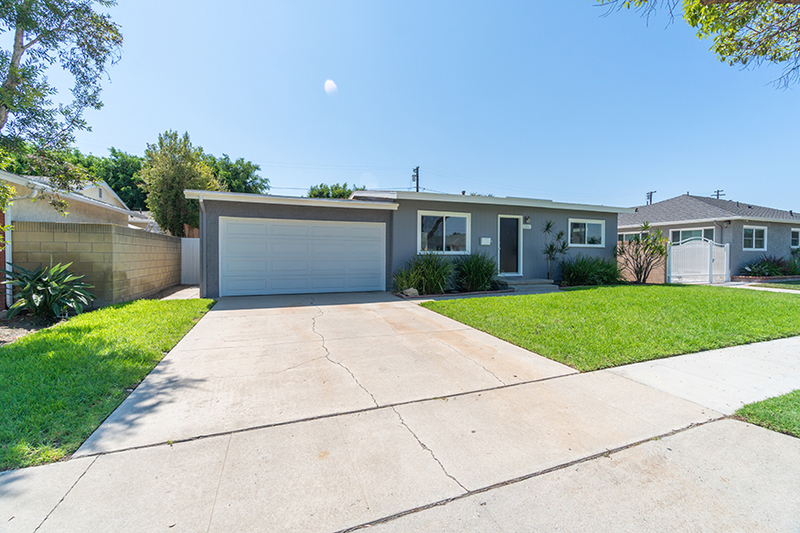 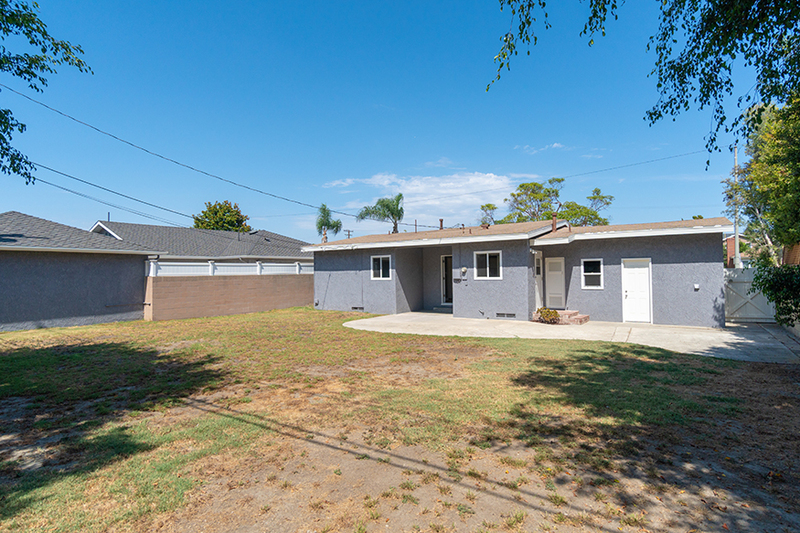 Come see this beautifully remodeled Los Altos home in one of the most desirable locations in East Long Beach. 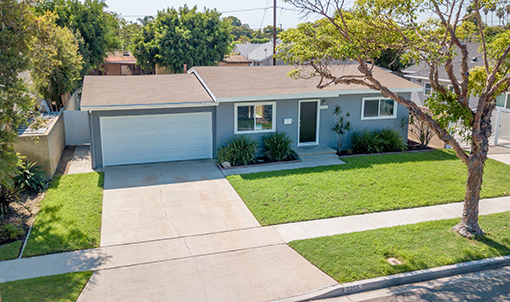 Upon entering the home you immediately appreciate the living rooms soaring vaulted tongue and groove wood ceilings, the gorgeous restored original hardwood floors, and the great view of the yard through French doors. 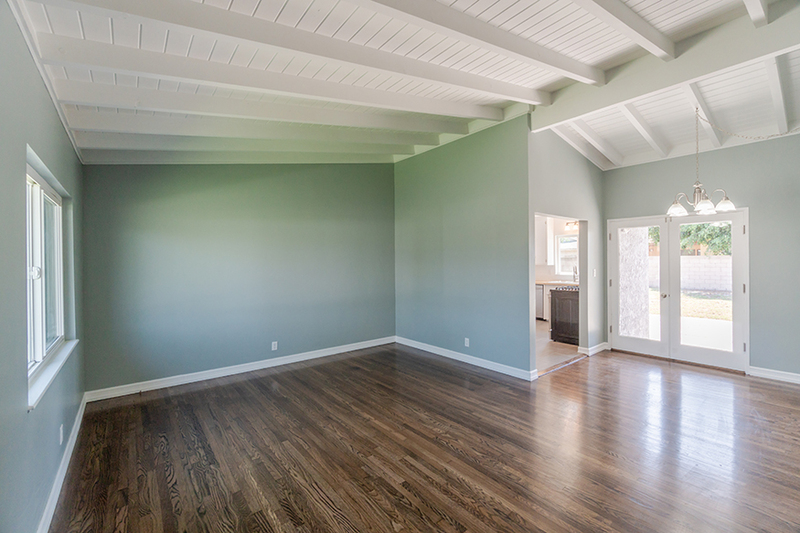 The adjacent dining area opens to a covered patio perfect for enjoying outdoor dining. 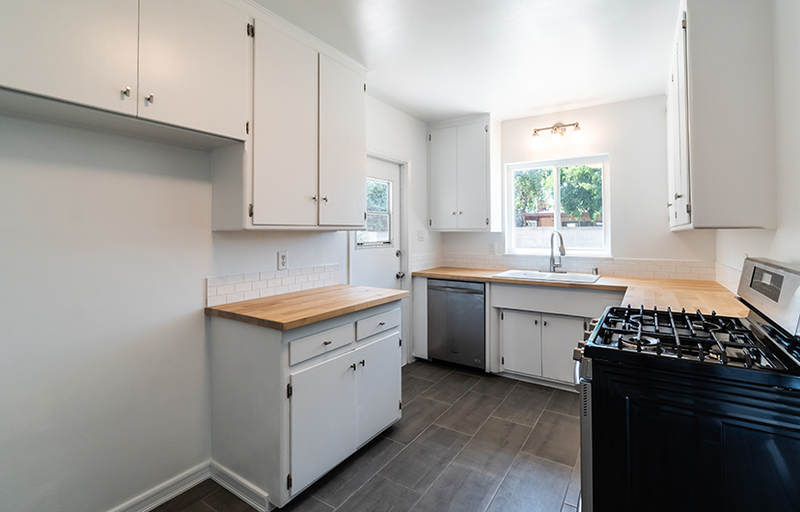 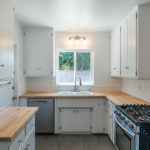 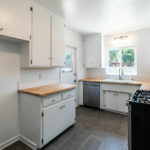 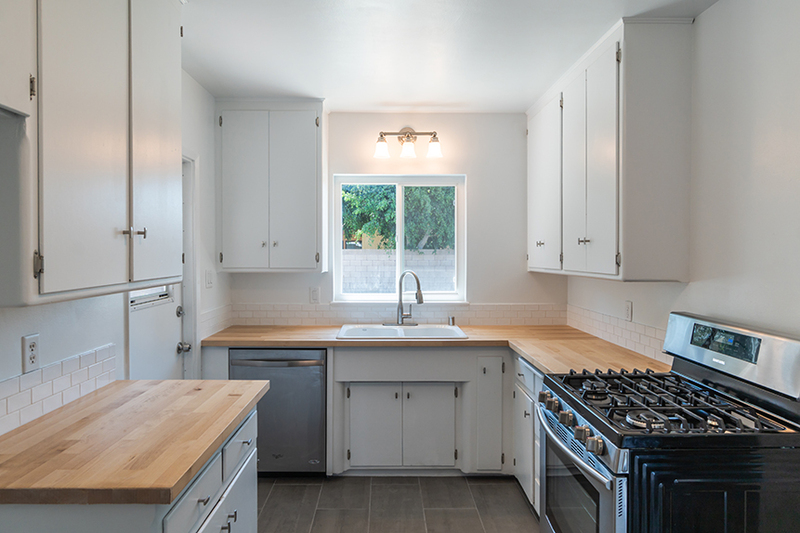 The kitchen is highlighted by white cabinets, a grey ceramic tile floor, stainless steel range, Maple butcher block counter tops, white subway tile backsplash, porcelain sink, and back door offering access to the yard. 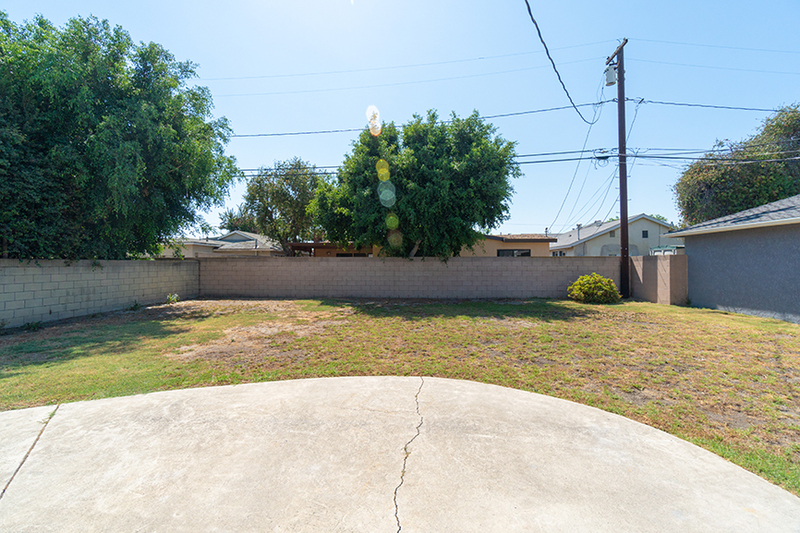 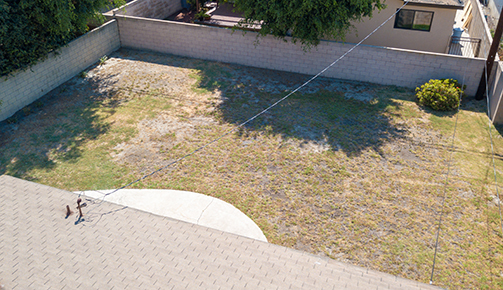 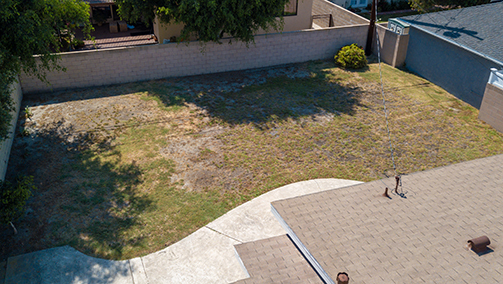 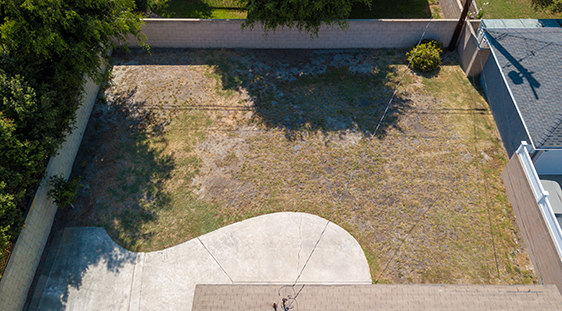 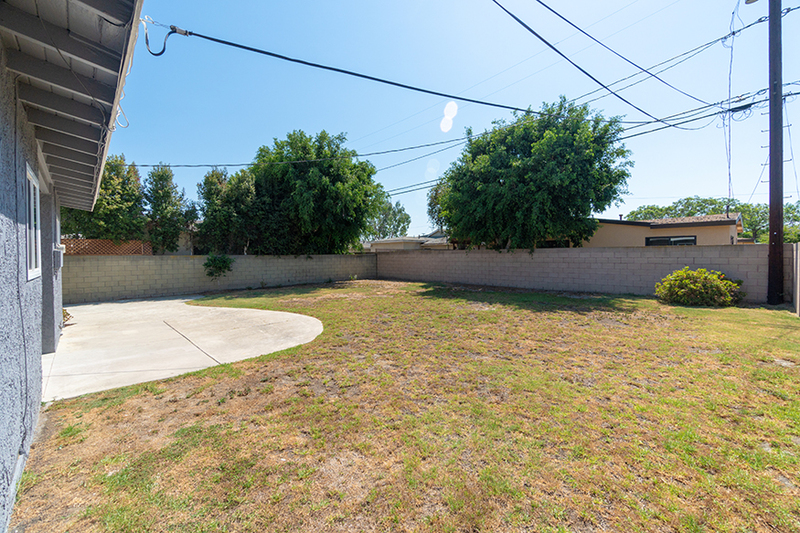 The private back yard is massive and includes a spacious lawn, concrete patios, and block wall fencing. 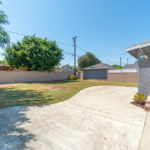 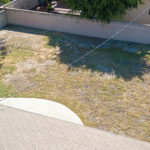 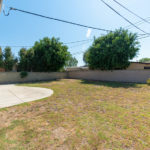 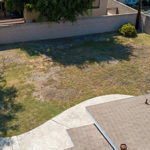 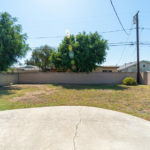 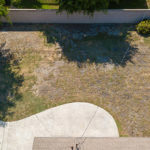 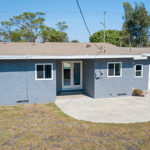 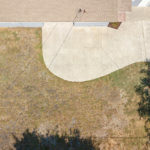 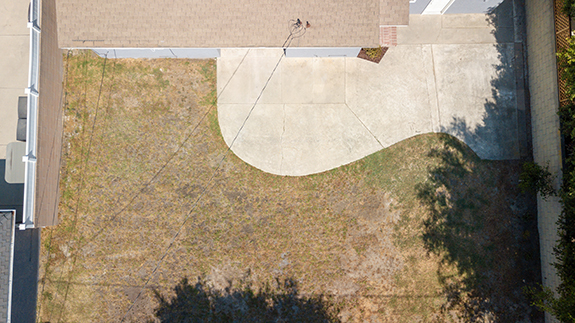 The yard offers great opportunity for expansion while still leaving you a very sizable outdoor area. 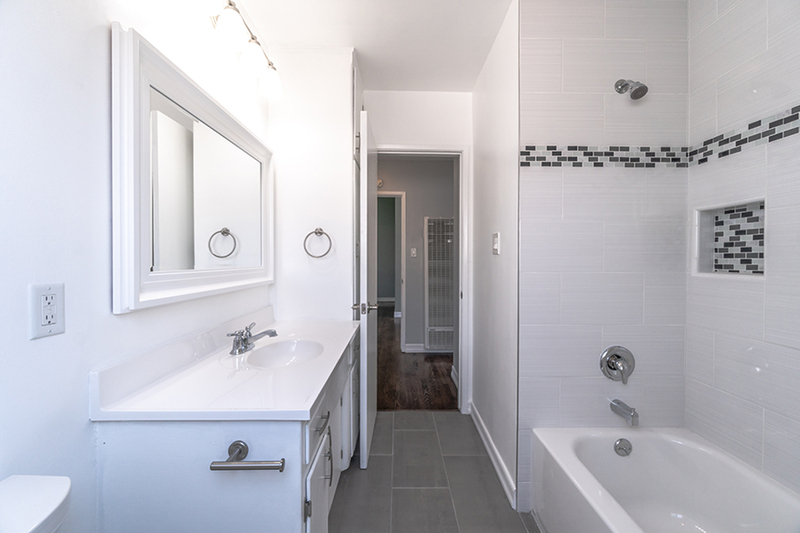 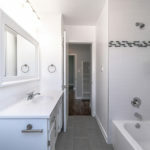 The bathroom has been remodeled and includes and subway tiled shower, ceramic tile floor, and large vanity with a solid surface counter. 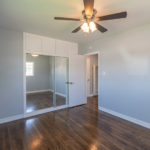 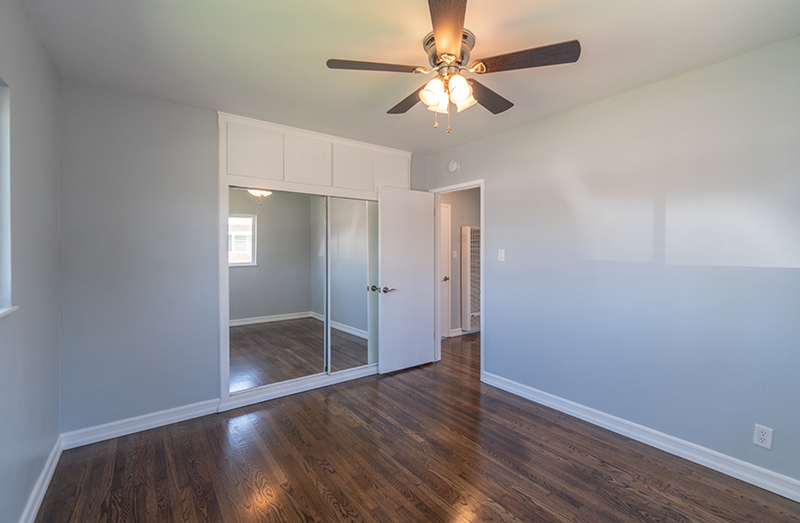 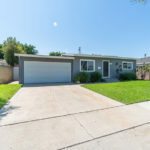 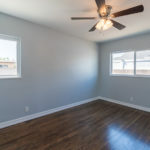 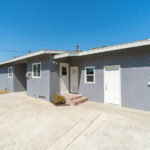 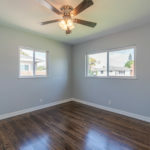 Other features include energy efficient dual pane vinyl windows, lighted ceiling fans in each bedroom, upgraded baseboards and mouldings, and a 2 car garage with new roll up garage door and 2 additional off street parking spots on the driveway. 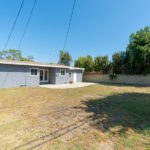 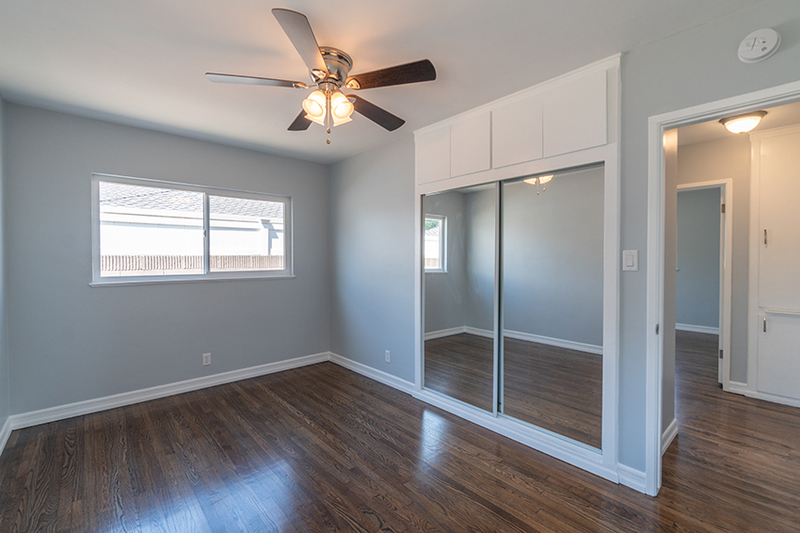 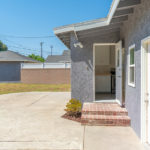 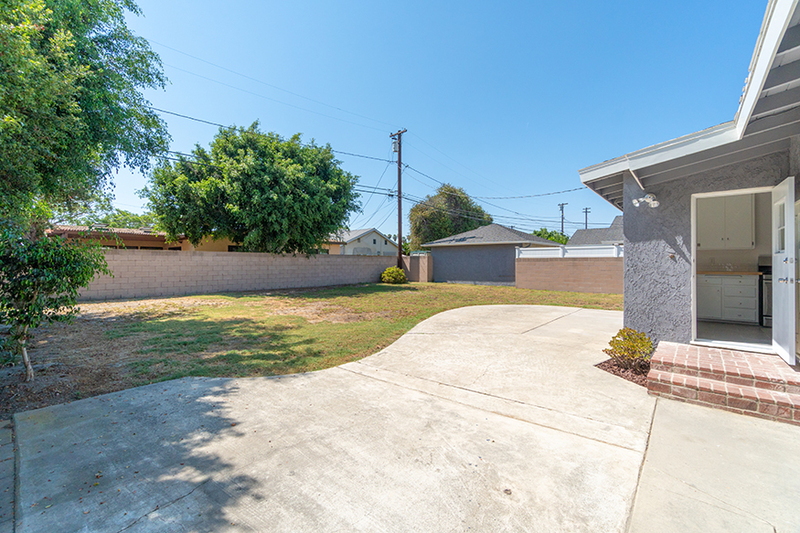 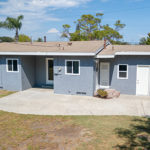 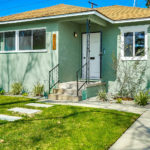 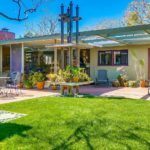 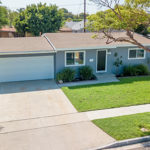 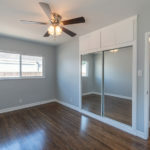 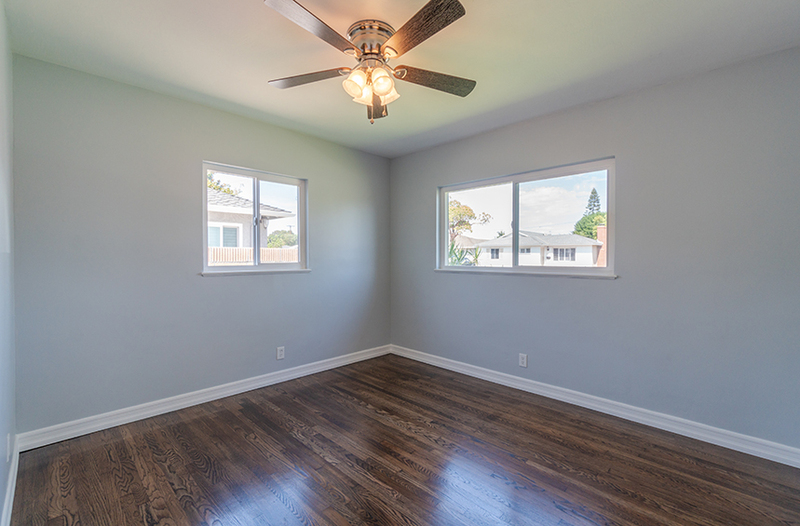 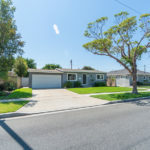 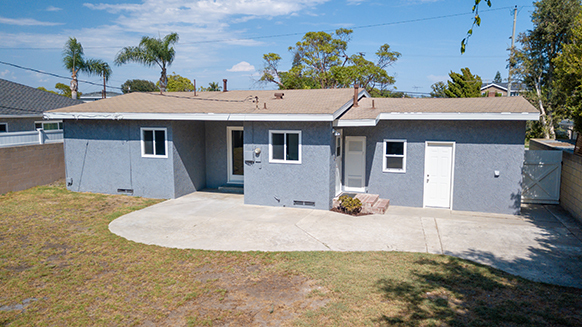 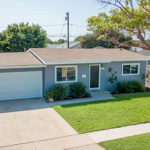 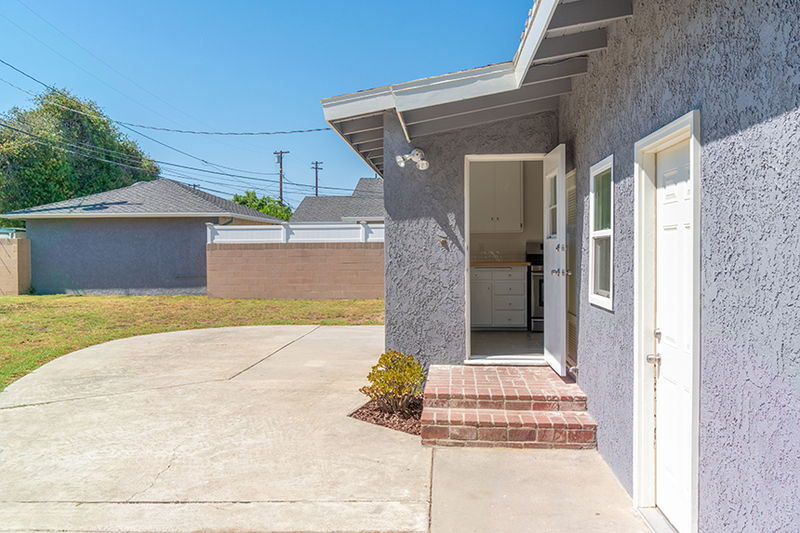 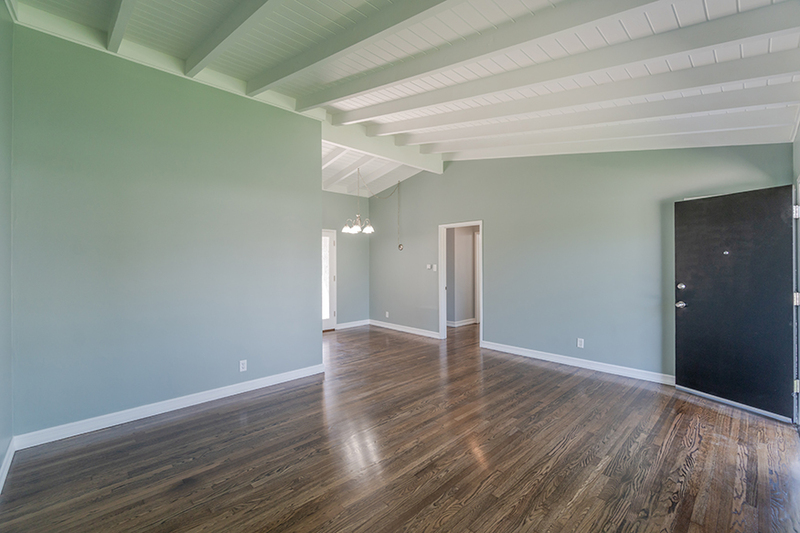 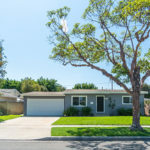 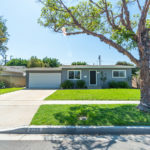 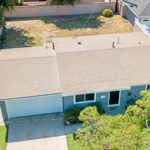 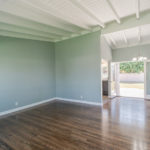 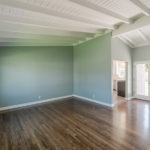 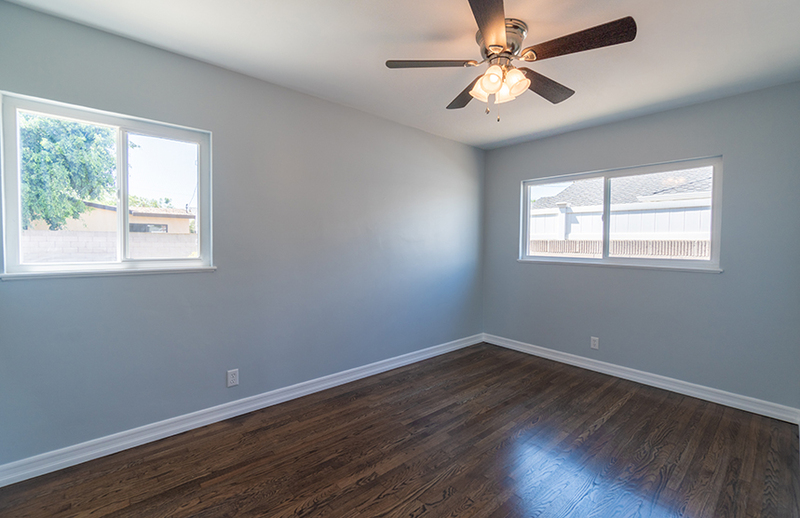 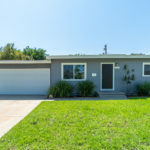 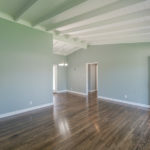 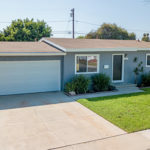 The location is top notch just steps from Prisk Elementary, the Carpenter Performing Arts Center, CSULB, The Los Altos Shopping Center and Whaley Park. 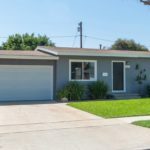 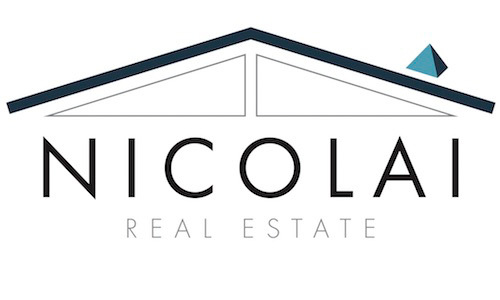 Come make this wonderful home yours for years to come!